Tampa fights for immigrants rights on Father's Day | Fight Back! 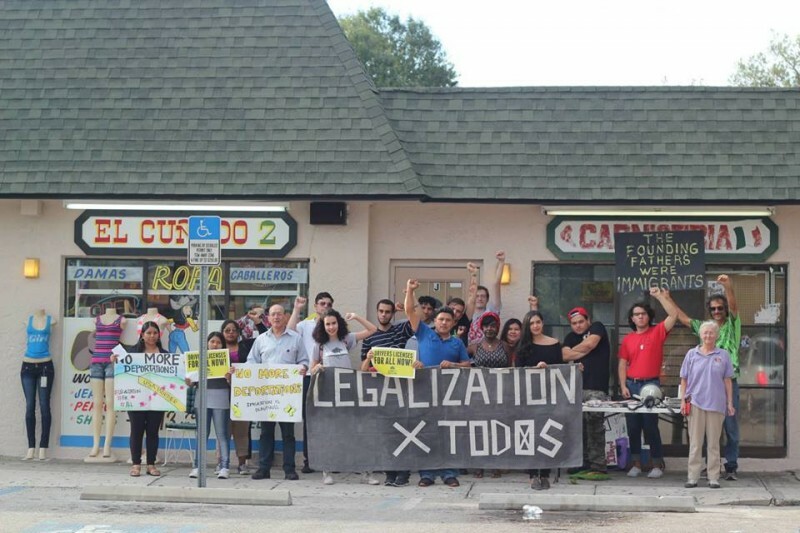 Tampa, FL – Two dozen people gathered here June 19 at La Mexicana Bakery to demand an end to deportations and legalization for all. Community members and activist alike were represented in the crowd. Among the groups present were Raices en Tampa, Students for a Democratic Society, Committee to Stop FBI Repression and others. Speakers drew connections to the discriminatory deportation practices now being implemented in the Dominican Republic and how these practices have already existed in the U.S. for quite some time. Speakers from the community brought up the fact that they have seen first hand how deportations separate families, an important aspect to Father’s Day in immigrant communities. Recently, President Obama’s executive action to extend DACA to the parents of citizens, known as DAPA, has been delayed due to a lawsuit on behalf of 26 states, including Florida. 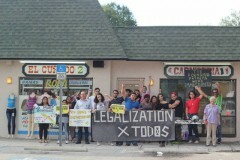 ”Raices en Tampa demands a stop to deportations. Thousands of families are separated each day. While the president extended DACA, DAPA is being delayed. We are here demanding legalization for all! We need to stop living in fear! Keep families together!” said Alicia Argenal with Raices en Tampa.